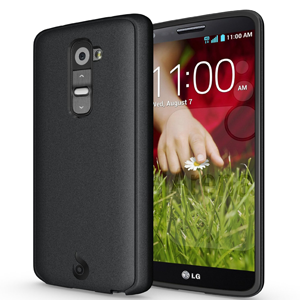 The LG G2 is the successor to the 2012 Optimus G and 2013 Optius G Pro. The G2 is powered by a 2.26GHz quad-core Snapdragon 800 processor, with 2GB of RAM. The IPS display of the G2 comes in at 5.2" with a 1080p resolution. Internal storage comes in 16GB or 32GB, which is not expandable. The G2 utilizes advanced audio hardware to support 24-bit/192KHz audio. The G2 has a 13MP rear facing camera, and is powered by a non-removable 3000mAh battery.